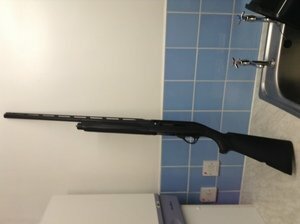 Franchi affinity one left handed. Semi auto multi choke. Black synthetic stock comes with quarter half and full chokes. Purchased in April 2017 hardly used. Any questions call or text 07795596642.